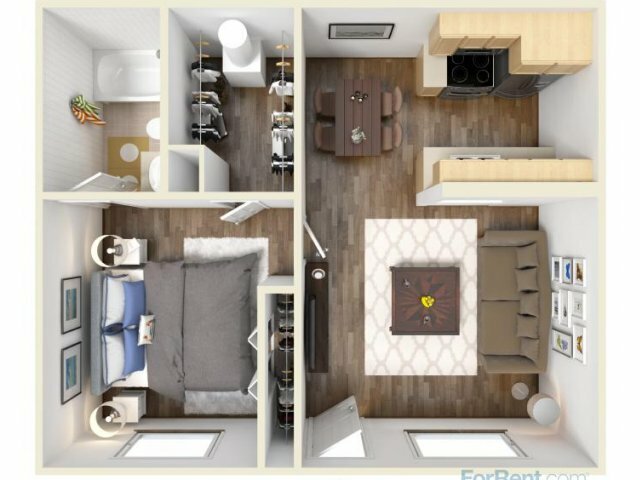 This floorplan welcomes you into the living room. 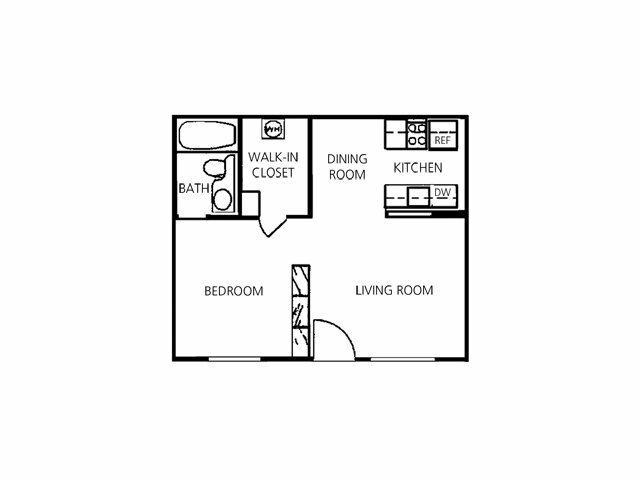 Off of the living room is a separate dining area with galley kitchen. The bedroom features a walk-in closet and bathroom with shower/tub combo.